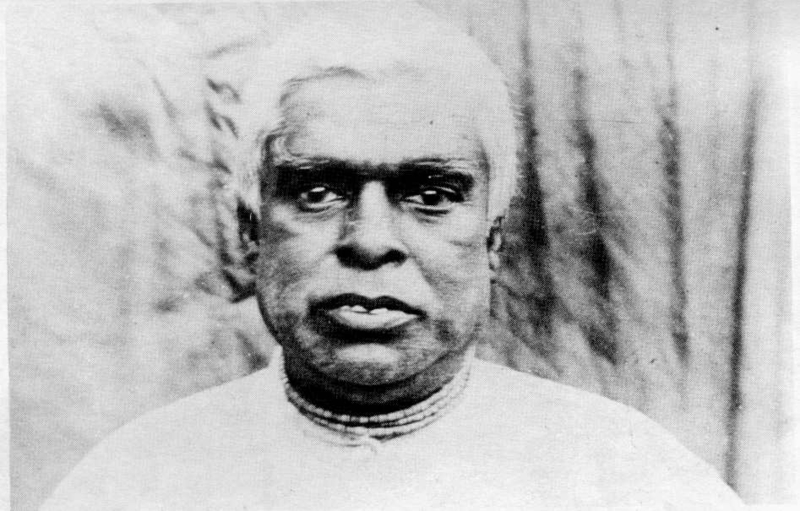 Srila Bhaktivinoda Thakur (September 2, 1838 – June 23, 1914), a prominent figure among the Gaudiya Vaishnavas of Bengal, was born Kedarnath Datta in the town of Birnagar, Bengal, India. He was the son of Raja Krsnananda Datta and Jagat Mohini Devi. Professionally, he was a High Court judge in Jagannath Puri in Odisha. Bhaktivinoda married and had several children, including Bimal Prasad (later Bhaktisiddhanta Sarasvati Thakura), the founder of the Gaudiya Math and the guru of A. C. Bhaktivedanta Swami Prabhupada. Bhaktivinoda was also the father, as well as the initiating guru, of Lalita Prasad Thakur. The two brothers had substantial disagreements on how their father's spiritual heritage was to carry on, Bimal Prasad more inclined for preaching and the establishment of Varnashrama-dharma, Lalita Prasad more inclined for the esoteric mode of raganuga-worship. He revived the Sankirtan Movement started by Chaitanya Mahaprabhu. Bhaktivinoda was among the first Vaishnava scholars to present the teachings of Caitanya Mahaprabhu and the principles of Gaudiya Vaishnava Theology to the English speaking world. Bhaktivinoda took initiation (diksha) from Bipin Bihari Goswami, a descendant of the family dynasty of Vamsivadananda Thakur, a companion of Sri Chaitanya Mahaprabhu's, and an initiate in the lineage descending from Sri Jahnava Thakurani, the wife of close associate of Chaitanya Mahaprabhu, Nityananda. In his autobiography entitled Svalikhita-jivani, Bhaktivinoda narrates how he had long prayed for a suitable guru, and felt his prayers were responded to in a dream as Sri Chaitanya himself directed him to Bipin Bihari. From the very beginning of Chaitanya's bhakti movement in Bengal, Haridasa Thakur and others Muslim or Hindu by birth were the participants. It is said that this openness received a boost from Bhaktivinoda Thakura's broad-minded vision in the late 19th century and was institutionalized by Bhaktisiddhanta Sarasvati in his Gaudiya Matha in the 20th century. He predicted coming of the day when fortunate non-Indian Vaishnavas would perform Harinama Sankirtan in different cities of the world. This prediction was fulfilled by A. C. Bhaktivedanta Swami Prabhupada. Bhaktivinoda later accepted siksa (instruction) from Srila Jagannatha dasa Babaji Maharaj, who is said to have lived for 135 years. Bhaktivinoda accepted the babaji vesh (cloth) in 1908 and adopted the lifestyle of a Vaishnava recluse. He continued to travel between Kolkata and Puri until 1910. Then he spent most of his time living quietly at home unable to travel much due to poor health until his death June 23, 1914. His remains were interred at Godruma, one of the nine islands of Navadwip.